However, we both like to work some small magic with these essential products. Here comes our must-have list: The L’Oréal Skin Perfection cream has a small amount of highlighting particles in there, giving your complexion an instant glow. 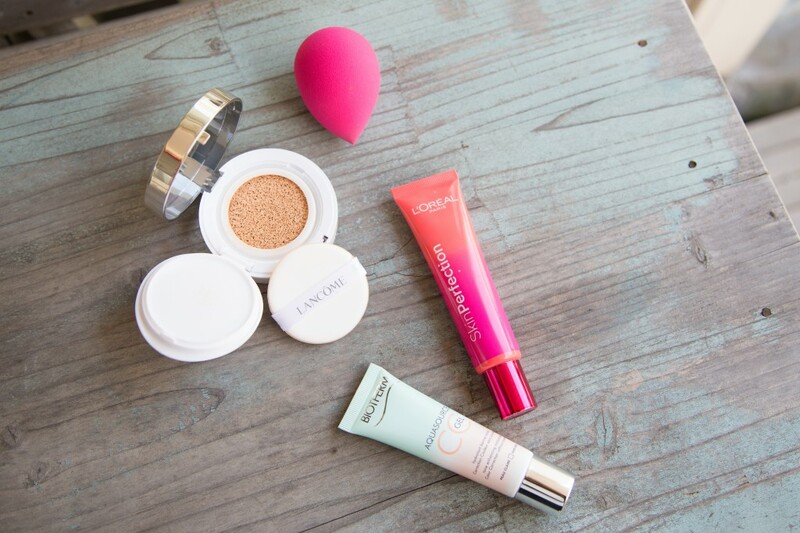 The Lancôme Miracle Cushion is fresh, handy and easy to use. Simply by pressing the sponge onto the cushion you will get the product. You can choose how much make up you want, depending on how strong you press. And last but not least the Aquasource CC Gel from Biotherm is the perfect day routine. Smooth and easy to apply it will give you an instant glow and you look fresh and healthy without make-up.